Fr. 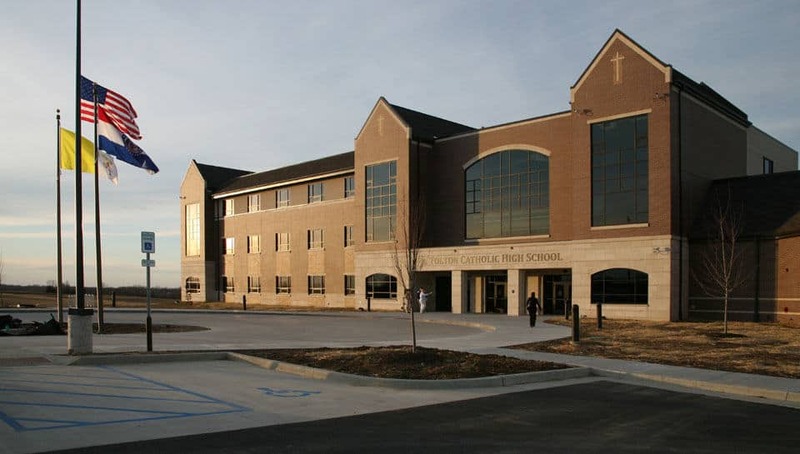 Tolton Catholic High School - PWArchitects, Inc.
With aspirations to increase the private school options in the region, the Diocese of Jefferson City hired PWA (with M+H Architects) to develop a master plan and designs for a new Regional Catholic High School in Columbia, Missouri. 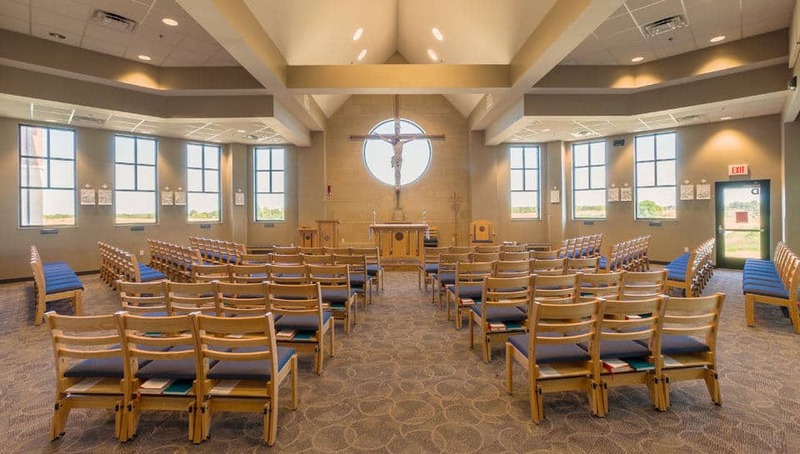 Working closely with the Planning Committee to address goals for the academic curriculum and athletic programs, the team developed plans and renderings that were used to raise funds for the estimated $16 million project. 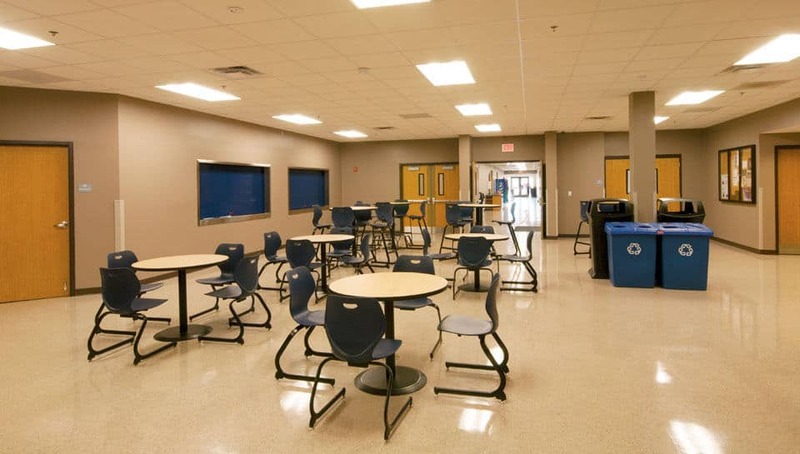 A third-floor shell added to the building design will allow for future expansion and add the capability for two additional labs and seven additional general classrooms. With an average class size of 20 students, the finishing of this third-floor shell will allow the new school to accommodate a student population of approximately 440 students. The proposed plan for the building has two phases with Phase One, including the building, parking, and land development is complete. The second phase will add the third level to the building, athletic facilities, and additional parking spaces. 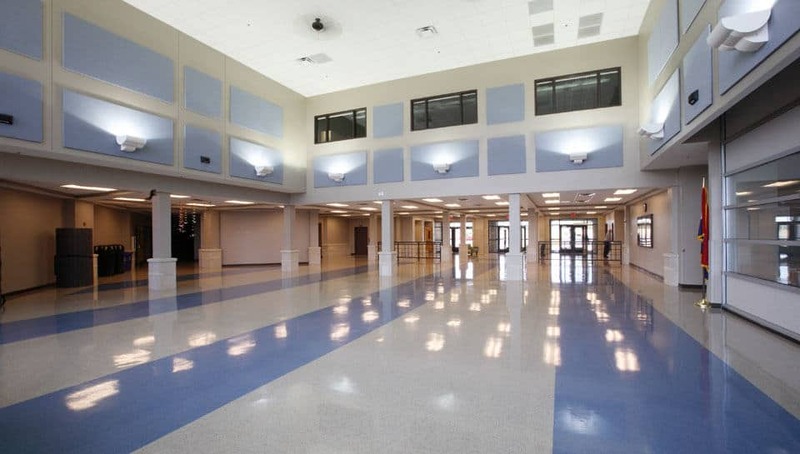 The entry to the school opens up into a commons area adjacent to the Chapel. 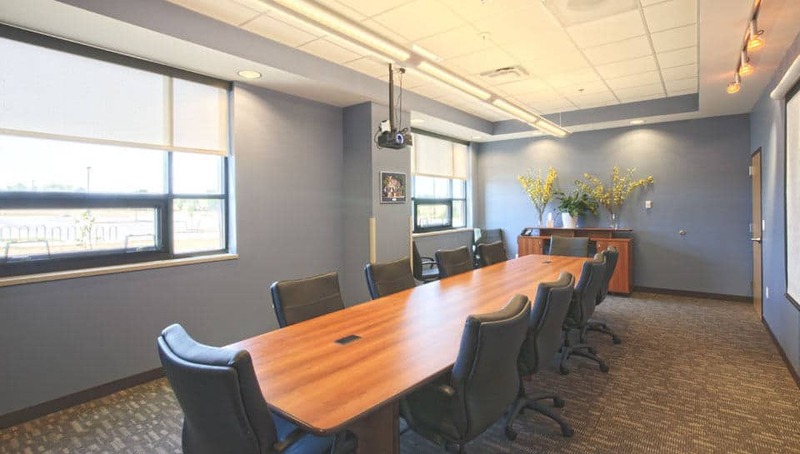 The Administrative suite includes a conference room that can accommodate 8-10 people. 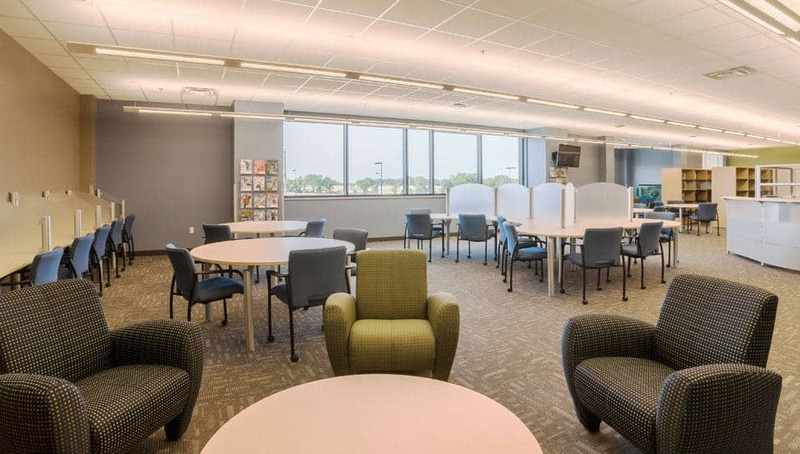 The library on the second floor includes comfortable lounge chairs in the reading corner. 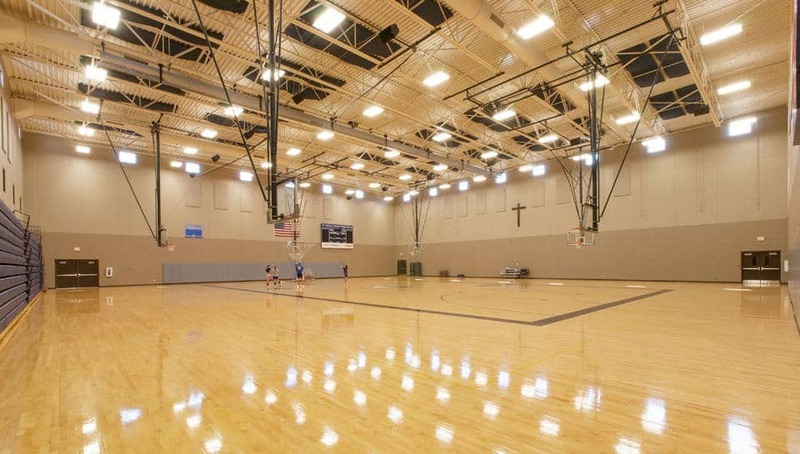 A divider screen can be lowered from the ceiling allowing separate events to take place in the gymnasium simultaneously. 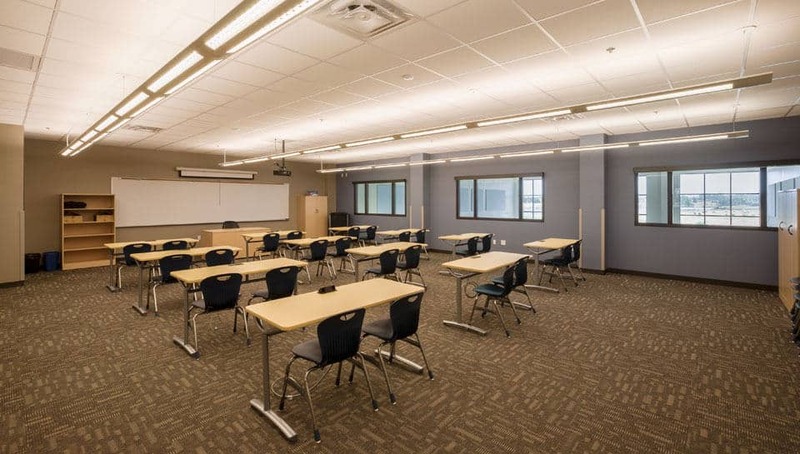 Classrooms are equipped with durable seating and overhead video equipment. Outdoor activities complex to include facilities for Football/Soccer/Track/Baseball/Softball and an outdoor storage facility and concession stand.